On Sunday December 4th Italians voted in a historic referendum on whether to change or not the country’s Constitution. The great majority of voters decided against this constitutional amendment. Indeed, it was not only a constitutional referendum, but rather a test of the current political establishment – and in particular of the Prime Minister Matteo Renzi. Such a test came directly from the Prime Minister’s initiative in the way he decided to personalise the ballot and, thus, create an opportunity for voters to protest against the most recent economic and political strategies led by his government. 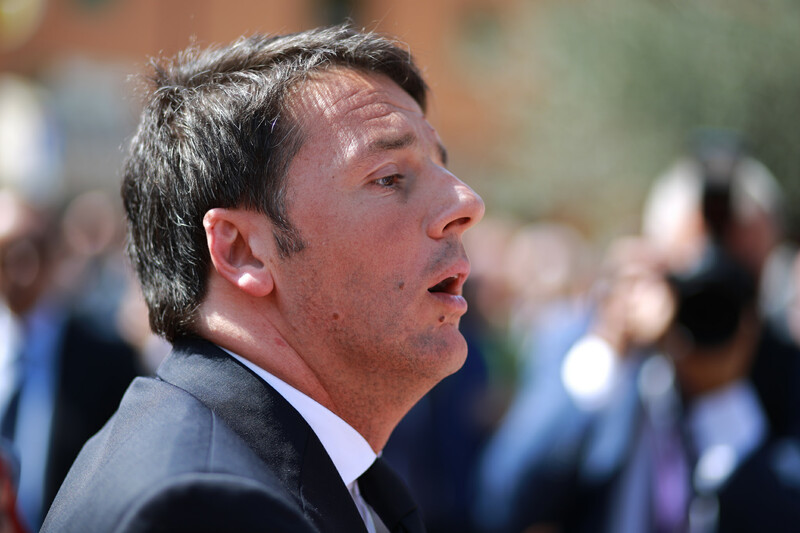 Earlier this year, Mr Renzi also said that in case of failure he would step down. To sum up the constitutional amendment, the key proposal aimed to transform the Italian political system from a perfect bicameralism, namely both houses of the Parliament with the same powers, to a situation in which the role and the number of the upper house Senate would be drastically reduced. In doing this, the 100 senators (instead of 315) would be selected by regional assemblies and no more elected directly by citizens. The ‘SI’ supporters centred their campaign on the idea of change and opportunity: by means of this reform, government institutions would become more efficient and the country’s governability would strongly improve. This constitutional reform could help to restructure the country and to give a renewed opportunity to become again a leading actor in Europe. As explained on their website, this would only be possible by approving the constitutional amendment. On the other front, although the ‘NO’ camp has been composed of different political orientations and parties – from the radical left-wing to the Northern League and the Five Star Movement. The central committee conducted a campaign focusing more on the matter of the reform and its consequences: first of all the fact that the next Prime Minister would get too much power. By enforcing the executive and weakening the Parliament, this reform would not improve the status quo, rather it would create further internal crises and violate Italian citizens’ right of vote (which means the contrary of what is stated in the Constitution). As also maintained on their website, the ‘NO’ supporters have stressed that they represent the only alternative to renew the political panorama in Italy, arguing that Mr Renzi has just ended the previous political cycle directed to ‘undemocratize the country. Throughout the electoral campaign, both camps have invited a variety of national celebrities, from constitutionalists to actors, intellectuals, directors, musicians, to take a position and to express publicly their opinion. Also at the international level, the main newspapers have followed the referendum campaign and have been inclined in favour of one or the other camp, such as the case of the Economist for the ‘NO’ and the Financial Times for the ‘SI’. The result: what will the next step be for Italy? Just after the heavy defeat (‘NO’ with 59,1% against 40,9% for ‘SI’) in a late-night news conference Mr Renzi resigned, as promised. What will happen in the near future is still rather uncertain, but there are two main prospects: either an early general election or, more likely, a caretaker government which will carry on until an election due to take place by the spring of 2018. On the other hand, the ‘NO’ victory has opened further questions related to a feasible alternative to Renzi’s government. At present, neither the Left nor the Right are led by strong leaderships; the only party that could have more chance of winning is the Five Star Movement. In spite of a general concern for a period of uncertainty both at the national level and within the eurozone, in wider terms this vote represents a clear message against anti-politics with the aim of reconnecting citizens with the ‘Res Publica’, as well as a re-appropriation of the core values of the Constitution as the founding pillars of democracy in Italy.